Sam Smith In Cerruti 1881 @ 2018 Grammy Awards. Sam Smith wore a green Cerruti 1881 Spring 2018 suit to the 2018 Grammy Awards. 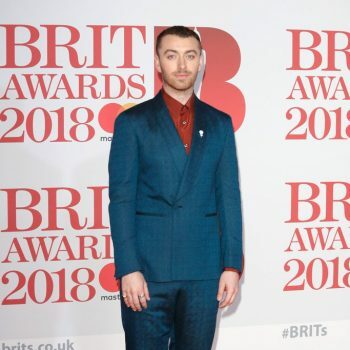 Sam Smith wore a full Cerruti1881 Spring 2018 look for his performance during the 2018 Grammy Awards.